The new Ludacris album drops on Monday and it looks like its going to be a dope album. Sure it has all the usual suspects that you would expect production and guest wise but it also has serious hip hop heavyweights on it; Common, Nas, Jay-Z, The Game with Premier producing the joint MVP. Which you can check out via the link below. Premier gives Luda a slightly slower beat then he usually dishes out but it works well with Luda's accent. The beat has some nice strings in it and Premiers trademark scratches work well throughout the tack. 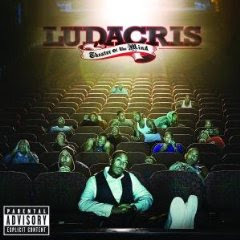 Luda has always been one of my favorite Southern rappers, he can drop braggadocio like nobody else combining arrogance with a blunt sense of humour and good story telling skills when needed. The album is called Theatre of the Mind and it drops on the 24th of November, do yourself a favor pick it up.